Dr Hamady graduated from medical school in 1998. Following 3 years of surgical training, he joined clinical and interventional radiology training at the American University of Beirut. He completed interventional radiology training at the king’s College – London in 2001. He then did 2 years of clinical research in Interventional Radiology at Guys and St. Thomas’ hospital. 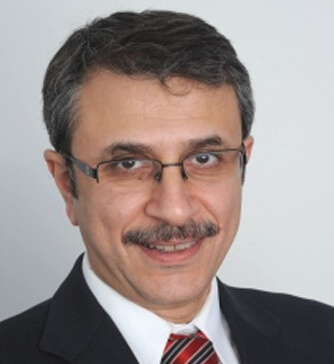 He joined Imperial College –London in 2003 as Consultant and Senior Lecturer in clinical and interventional radiology. His research interests include robotic endovascular intervention and navigation, virtual reality simulation training of endovascular skills, aortic stent grafting and ovarian reserve post fibroid embolisation. He recently started a project on safety and productivity enhancement in Interventional Radiology. He has over 100 papers in peer-reviewed journals and 12 book chapters. He has given over 50 talks and keynote lectures in national and international scientific meetings. Dr Hamady has done the world-first robotic endovascular aortic intervention in 2008 and the world-first robotic fibroid embolisation in 2012.